When Steve Kessler's wife was moved from an acute-care hospital into a rehabilitation hospital following a severe stroke in 2005, the feeling of relief that Barbara would survive was quickly replaced with overwhelming anxiety over the huge unknowns that remained. Would she be able to keep working—or take care of herself, for that matter? "These are the basic questions I honestly did not know," Kessler said. "As a caregiver, no one sat down to explain it." That added to the stress and loneliness Kessler felt during the 2½ months his wife was at 150-bed Burke Rehabilitation Hospital in White Plains, N.Y., just a 10-minute drive from their house. The family has stayed in touch with Burke, and were part of a team that championed the addition of its new family-caregiver resource center, a quiet, spa-like space on the hospital's first floor where loved ones caring for Burke's patients can rest, recharge and meet with volunteers trained to address their questions and concerns. "It's like a flashing message going, 'Hey, look, you as a caregiver, you matter,' " he said. " 'You're important. Here's a wonderful resource that will help you through the process.' "
Dedicated spaces for family caregivers are rare. Fewer than 20 acute-care hospitals have them, according to experts in the field, and Burke says theirs, which opened in June, is the first such caregiver center inside a rehab hospital. Even so, caregiver advocates believe several factors are coming together to convince hospitals such investments make economic sense even as margins are increasingly crunched. The Affordable Care Act put in place penalties for avoidable readmissions, which caregivers can help prevent, and some encouraging programs are cropping up to pay caregivers for their work. "The caregivers in the population we're taking care of need to be recognized as a component that will reduce readmissions to hospitals and keep length of stay shorter," said Jeffrey Menkes, CEO of Burke Rehabilitation Hospital. "So, yes, we would hope this would be an operating cost that would be recognized, because right now it's not." But even Menkes said Burke's unit wouldn't have been able to open the caregiver center had it not been for a grant the hospital received from a former patient. He didn't share the grant's amount, but said it cost about $700,000 to build the center and will cost about $200,000 a year to run it. The center's director, a licensed clinical social worker, is currently its only paid staff member, but Menkes expects to add more staffers. Hospital administrators don't always see the value in caregiver centers because they can't draw a straight line between supporting caregivers and important outcomes like, say, reducing preventable emergency room visits, said Leah Eskenazi, operations director for the National Center on Caregiving's Family Caregiver Alliance. It's a difficult message to drive home when you can't apply the same cost-benefit ratio that's used when deciding whether to add other services to a hospital. "That's the particular challenge for these types of programs: They're not profit centers," Eskenazi said. "They're not like heart services or surgery of various types. They're not bringing in money." Even so, Eskenazi and others said caregivers are critical to successful recoveries from serious illness or injury. To that end, AARP has successfully championed a law that requires hospitals to provide caregivers with education and instruction on medical tasks they'll need to perform at home. The measure has been signed into law in 36 states plus Washington, D.C., Puerto Rico and the U.S. Virgin Islands. The CMS has been penalizing hospitals with excess readmissions since 2013 as part of an effort to drive down wasteful Medicare spending and improve patient care, although there's been some debate as to whether the emphasis on readmissions could actually be harming patients. The recognition that caregivers play an important role in whether patients stay healthy at home has been a primary driver of caregiver resource centers cropping up in hospitals, Eskenazi said. There are also isolated examples of programs that pay caregivers for their work. Caregivers in states such as Iowa and California can get paid for taking care of certain Medicaid patients through state programs. Finances might be a barrier now, but insurance carriers may eventually develop creative ways to pay caregivers, especially as they're increasingly recognized as part of the medical team, said Kendra Webster, director of the Coast Caregiver Resource Center. "Medicine is being challenged to look at readmissions and how to prevent those unplanned readmissions, and usually that's going to fall into the role of the caregiver," she said. "So I could see those services being reimbursed eventually for that reason alone, to have someone safe and healthy at home supporting the patient." Webster's office, part of Cottage Rehabilitation Hospital in Santa Barbara, Calif., is part of a statewide network of such centers that's been in place for about 30 years. It gives caregivers grants to hire respite caregivers, provides counseling in person and over the phone, provides vouchers for legal services and runs support groups, among other services. It's all free, although they accept donations. The Family Caregiver Alliance runs a caregiver help line, and questions about whether caregivers can get paid is the No. 1 question they receive, Eskenazi said. Caregivers often spend lots of their own money caring for their loved one, and they're struggling financially, especially if they've had to quit working to take care of a loved one. Nearly 9 out of 10 caregivers for older Americans are unpaid, and they often work longer hours and receive less government support than their paid counterparts, according to a 2017 Health Affairs study. 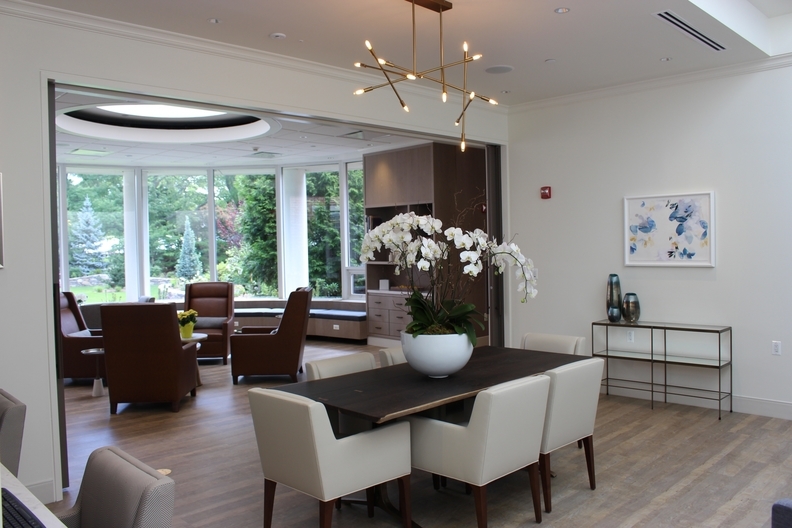 Money is also among the top concerns caregivers bring up at Burke's new caregiver center, said Carla Assenza, director of the space, called the Marsal Caregiver Center. But on a more basic level, they're just overwhelmed, she said. "Usually I try to help people manage that anxiety and help them prioritize the things they have to focus on to get some answers for so they can take the next step," she said. "Because it seems like a lot of people are just really in a storm of emotions, and we try to funnel that down for them." Burke's caregiver center saw as many as 250 people in its first month, and Assenza said the number has grown since then. Because the training takes between two to three months, Assenza is currently working with the caregivers by herself, but soon hopes to deploy her team of volunteers, many of whom are former healthcare providers themselves. The team of about 15 people currently goes throughout the hospital to tell family members about the caregiver center. Burke is part of Montefiore Health System, which also has caregiver resource centers at four of its acute-care hospitals. Randi Kaplan, the director of Montefiore's Caregiver Support Center, said the system's first center in 2011 was the second in the country at an acute-care hospital, and Montefiore mirrored it after the first at a small facility called Northern Westchester Hospital in Mount Kisco, N.Y. Select Medical, one of the country's largest rehabilitation providers, doesn't have designated caregiver centers at its 26 hospitals. Still, Loren Vocaturo, vice president of program development and education for Select's inpatient rehabilitation division, said the idea "absolutely could make sense." 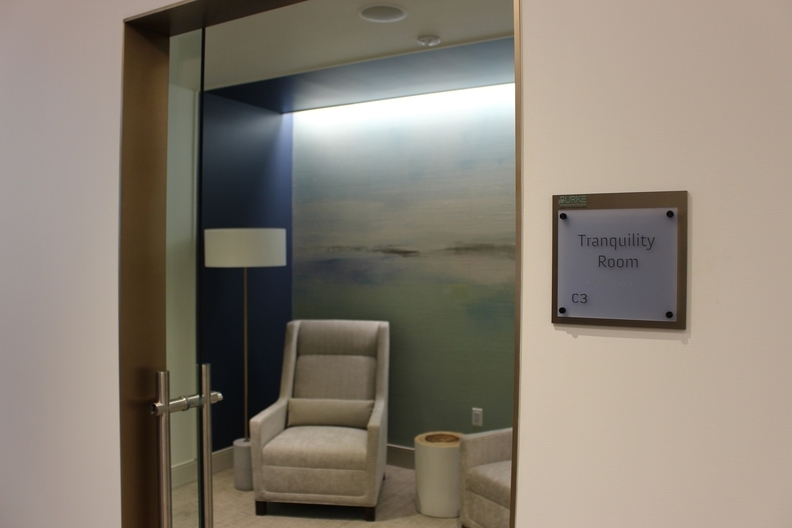 Select's hospitals have courtyards and reflection areas, as well as social workers, psychologists and pastoral services that caregivers can use. Each of its hospitals runs support groups and weekly educational meetings for all diagnoses. Caregivers tend not to get the attention and focus they need, and that's to the detriment of patients, Vocaturo said. "How our patients do is going to be largely based on how our caregivers do," she said.